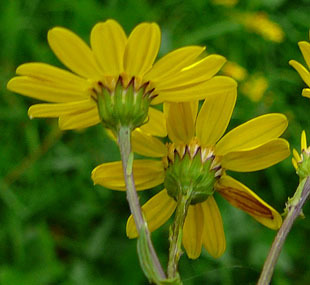 It grows in wet grassland and by streams, ponds and ditches. 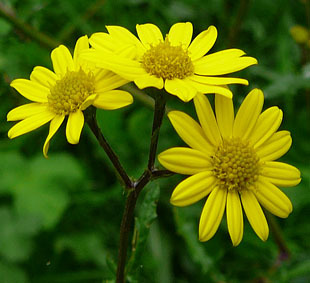 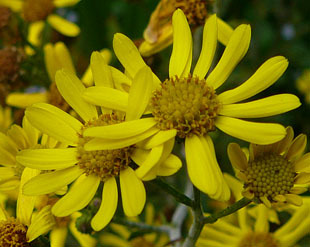 Flowers are bright yellow and up to 4cm. 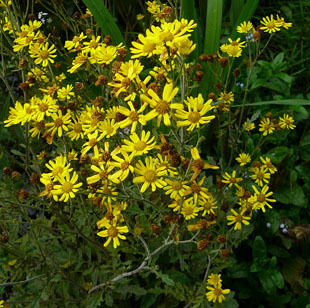 and outer bracts are blunter and green with dark tips. 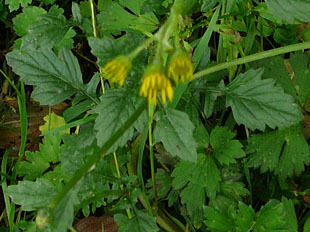 Leaves are dark green and glossy. 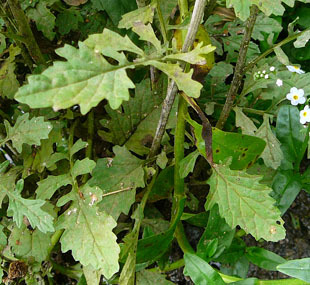 Lower leaves are more divided than the upper leaves. 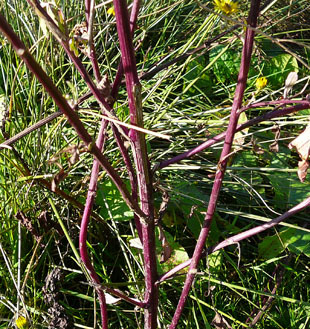 The stem is branched and grey, green or purple.